I continued my Scottish holiday last week with another BUMPER week of blessings. I enjoyed a lovely afternoon in the company of a dear cousin in the picturesque town of Callander known as “The Gateway to the Highlands.” I spent the first year of my life in its midst, before migrating to a village called Kippen a few miles away. I stopped off in Kippen to reminisce on days gone by but was saddened to see many shops and businesses disappearing with the sands of time…. Back in Fife, I enjoyed two more delightful picnics with my dear sister and dogs Harmony and Emerald, enchanted by seals playing on nearby rocks. What a joy! Next day, I was taken on a mystery tour to a sculpture park laden with wonderful exhibits, including an underground room filled with Amethysts. I was in crystal Heaven. In the afternoon, we visited a beautiful herb garden where we took tea and cakes surrounded by grapes and peaches in a handsome greenhouse. It was an AWEsome day. I ended my Scottish holiday in Edinburgh, staying with my niece and her partner in their central flat with its own roof garden. I took LOTS of photographs of Edinburgh’s skyline for future posts. They treated me to a mammoth banquet of Spanish tapas on my first night – YUM! Next morning, we meandered in the gardens of Princes Street for this weeks post “Flowers in Bloom” and shopped at a well known homeware store where I procured a copy of the cookery book – Good+Simple by the lovely Hemsley sisters. I also invested in a spiraliser ( a device that creates lovely vegetable spaghetti) so I will be creating a number of new VERY healthy culinary delights in the coming weeks! Bidding final, tearful farewells, I made my way to Edinburgh Airport in the new tram system, before flying home to the Emerald Isle. 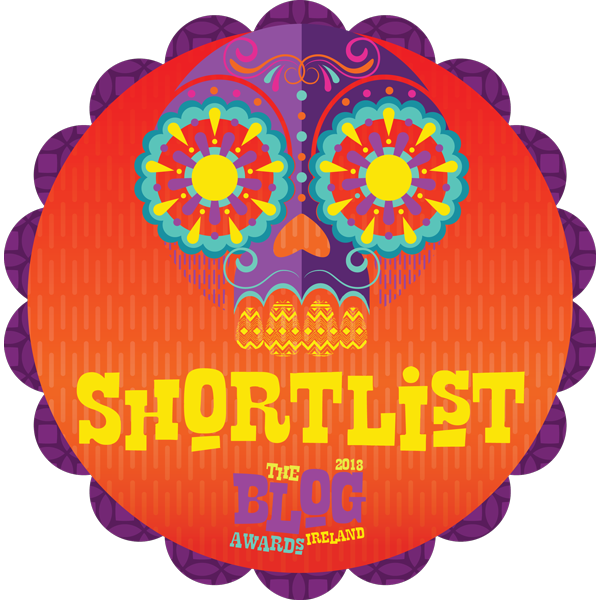 I have yet another major blessing to celebrate this past week – I have reached the long list for the Health and Wellbeing category of the Irish Blog Awards. Watch this space for further news…. Sounds like an amazing holiday. I love Scotland! Thanks Judith. It was lots of fun. That wall of amethysts is awesome! Yes – I loved it. The Jupiter Sculpture Park is well worth a visit. What a wonderful trip you have had! The picture is magical( the Amethysts one) Lovely post! Yes – magical is a great description. I love crystals. Crystal Heaven, so good for the soul. Your trip sounds wonderful. I had such a lovely time. It was a much needed tonic. You look absolutely lovely and happy. Thanks Jacqueline. I had such a great time in Scotland with my loved ones. An enchanting holiday to give thanks for. Yes – I feel very blessed and there was very little rain! Thanks – I’m definitely inspired to take a trip to Scotland – we’ve just bought a new tent so a camping trip to Bonny Scotland next Spring may be on the cards.. Brilliant. There are LOTS of lovely spots to camp. Please bring midge repellant. The Scottish midgies are fearsome! Ah they are some of my favourite places to visit in Scotland. So happy you enjoyed the time, family and cuisine. Scotland is a refreshing place to visit. Yes. It still holds a place in my heart. What an uplifting post! I love that you are doing 100 days of gratitude. I bet it is such a heart opener. Thank you. I have been keeping a gratitude diary since 2003 when I fell ill. It has helped me enormously. I appreciate the complement on the photograph – it was a truly happy day. Blessings. Wow!!! Since 2003? Good for you. So many blessings. ❤ You are inspiring to me. Thank you. Yes. It has helped keep me grounded through life’s ups and downs… Blessings. Such a beautiful time– with people you love. What could be better than that for summoning up a whole lot of thankfulness??! Lovely post! Thank you Rhonda. I really appreciate your lovely comments. 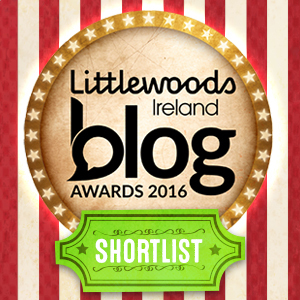 Enjoying your beautiful, thoughtful blog from across the ocean Brigid, thanks. Thank you so much. That means such a lot to me.